Your baby is inching closer to the important milestone of eating solids. You have likely researched the best foods to start with and have received all sorts of advice. There is no shortage of opinions when it comes to what to feed babies and just as many approaches. Baby Led Weaning is becoming an increasingly popular approach to introducing solids to infants. Simply put, BLW is teaching your baby to feed themselves food from the very beginning. This means that your baby eats what you eat. No purees, no ice trays of mush, and no playing airplane with a spoon of liquid vegetables. With BLW you forgo the mushy purees and instead offer whole foods that are easily gummed by your the baby. It is important to note that when you read the word “wean” it doesn’t mean to wean from breastmilk or formula. The definition of wean that is used when talking about Baby Led Weaning comes from the UK and literally means to start solids. Food before one is just for fun! Until one, infants should be getting their nutrition from breastmilk or formula. Because it’s just for fun it is strongly recommended you wait until you see ALL of these signs before beginning any solids and especially before beginning baby led weaning. The tongue thrust reflex happens when your baby puts anything in their mouth and their tongue immediately pushes it out. As you can imagine it is important for babies not to do this when starting baby led weaning. Infants usually lose this reflex between four and six months. Unassisted as in no pillows, no bumbo, no help. They must have control over their heads and be able to sit for an extended period of time. This is a developmental milestone and usually occurs around six months. This is important because with baby led weaning you do not feed them food. They are learning to eat independently which means grabbing their own food. Of course, you can hand it to them but it is important that they actually put it to their mouths and eat. You want them to be curious about food. Are they watching your food go from your plate to your mouth? Are they reaching for your plate? Do they open their mouths when you take a bite? These are all signs that they are showing interest in food and may be ready to begin BLW. Because most of these signs occur around six months and we know that around 6 months is when an infant’s digestive system is able to breakdown enzymes most baby led weaning experts will die on this hill. This is non-negotiable. This is, in my opinion, one of the most important signs. You want to make sure that not only is your baby ready but you are too AND you get the okay from your child’s doctor. My daughter was showing all the signs that she was ready so we started BLW with her. She wasn’t having any of it. So we pressed the pause button for a month and tried again. She was hooked. There are many myths surrounding Baby Led Weaning. 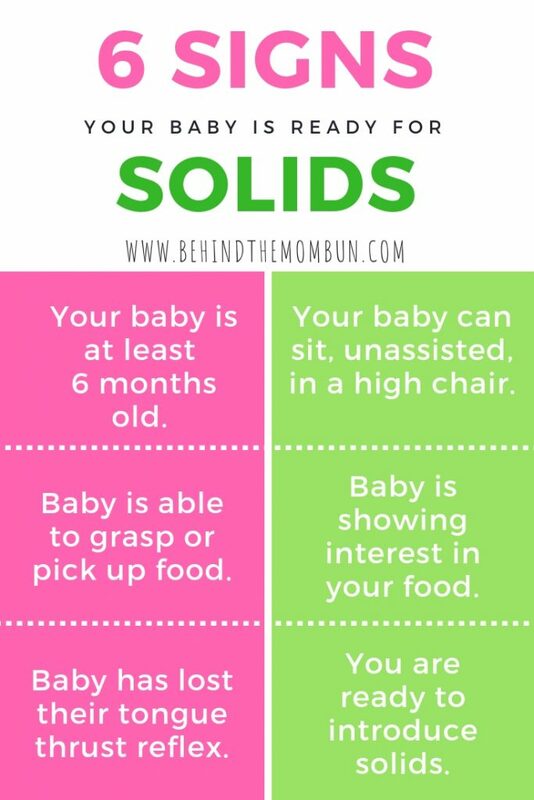 Here are the top ones I hear when listening to new Mamas talking about introducing solids. Myth #1: If my baby doesn’t have teeth they can’t chew food. False. A common question that is asked is “Do babies need teeth for led weaning?” The answer is NO. Your baby’s gums are very strong and can pretty much gum any type of food. You will want to make sure that vegetables like carrots and sweet potatoes are softened before you give it to your baby. Also, be sure to cut meats and larger fruits down to the size of your fingernail. Myth #2: Babies need purees first so they don’t choke. False. By allowing a baby to manipulate food in their mouths you are giving them the opportunity to explore boundaries with food. They will learn to understand how much they can put in their mouths at a time. They will likely gag. This is normal and part of the process. It is scary to see them gagging but they get through it very quickly and are ready for more food right after. Myth # 3: Infants can’t have spices. False. They can have whatever you are having. You might want to tone down any super spicy foods but otherwise let them explore and have fun with tasting delicious foods. As soon as I discovered BLW I knew that this was the way to go. Now after doing BLW with several infants and toddlers, I am a firm believer in BLW. 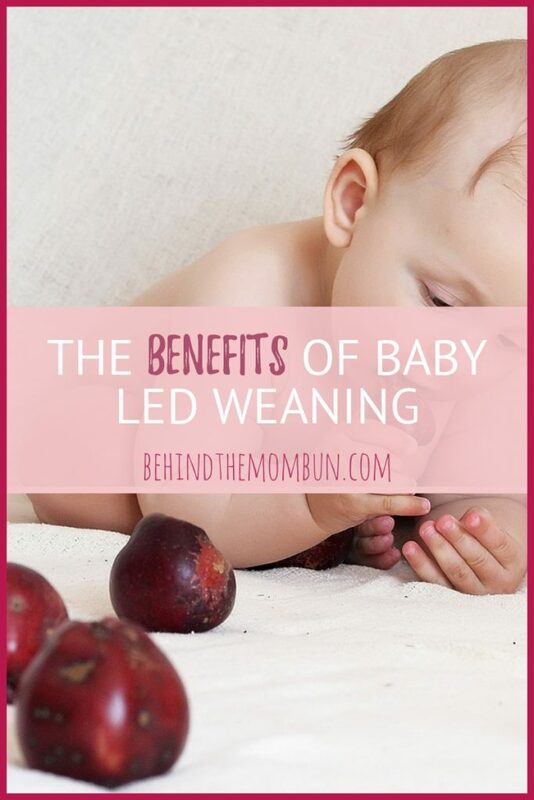 Here are the benefits of Baby Led Weaning I have discovered to be true. I was a work out of the home Mom when we introduced solids. The last thing I wanted to do was prepare ice trays full of pureed food. Meal prepping is not my forte and I do good to meal prep for my family. Not having to create a separate menu for my baby was a huge plus. Kids, even as young as infants, have the ability to know when they are full. They pull away from the breast or push the bottle away. The same is true with solids. When kids don’t want to eat, they won’t. When they are really hungry they will eat whatever you give. Using the BLW approach teaches them to feed themselves until they are satisfied. If you are spoon feeding kids you may give them extra bites they don’t need or want simply because you think they are being fussy. In my experience, BLW has helped with the picky eater stage of life. Babies will grow up eating and liking what they know. Exposing children to a variety of flavors from an early age will encourage them to enjoy and want a variety of foods. Thankfully my husband loves ALL sorts of foods because I definitely don’t have a diverse set of taste buds. Our daughter eats everything. She loves a wide variety of meats, vegetables, fruits, and ethnic foods. She has now developed preferences but isn’t afraid to try new foods either. For us, this was the MOST important benefit of BLW. My husband and I didn’t grow up with healthy eating habits. We have both struggled with our weights our whole lives. While we have come a long way we wanted our daughter to grow up with these healthy eating habits from the start. Habits like stopping when you are full and eating a lot of different foods. As a lifelong learner, I am constantly researching everything. I’m the type of person that likes to come to my own conclusions after carefully weighing everything. I would recommend any new Mama starting the journey to solid foods does the same. I 100% believe in BLW but I recognize it might not be right for everyone. Talk with your pediatrician and factor in their opinion when making a decision. Never leave a baby alone while eating. This is common sense advice but life happens and we get busy. You might be tempted to walk away for a quick trip to the laundry room or some other small task thinking they are doing great. It only takes a second to start choking. Check out these awesome books. 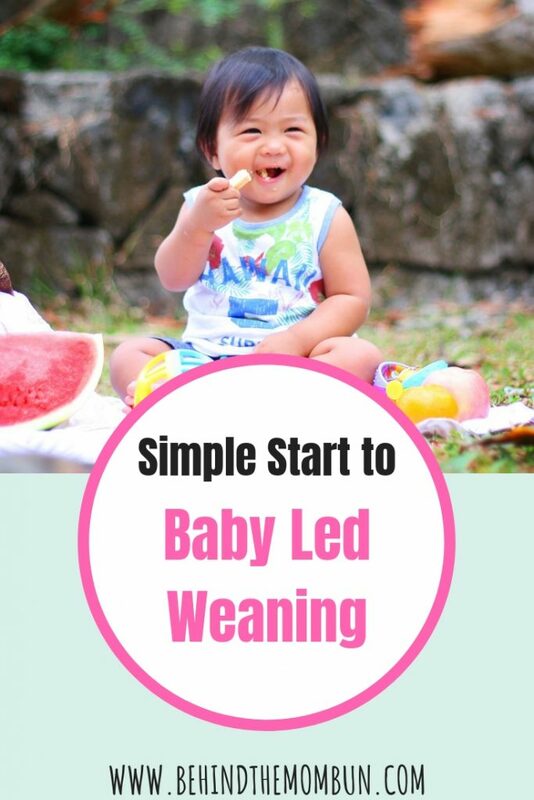 Now that we have convinced you to give baby led weaning a go you might be wondering how to get started. The awesome thing about Baby Led Weaning is that is it so simple. You don’t need special gadgets or food. Some parents go all in and just start giving their baby literally whatever they cook. You could do that and probably be fine. Personally, I like the gradual method. With the gradual method, you will introduce one food at a time. This helps to ensure that your baby isn’t allergic. If you give them multiple types of food, you won’t be able to tell which food caused the allergic reaction. We started with avocados because every true Texas baby must begin with this food. We went on to bananas, then oranges, eggs, and then honestly I don’t remember because she just started eating everything. It is recommended to give your baby a new food 2-3 times before moving on to the next food.